There is now a Portal of the Global Community of North America (GCNA). This is the Portal for all Citizens of the North American Community. Let us build up our Global Community. Get involve with issues. Promote a program or a project. Tell us what you think. Tell us what you want. We can do better together as friends and united as a Global Government. Read about the Canadian view point. 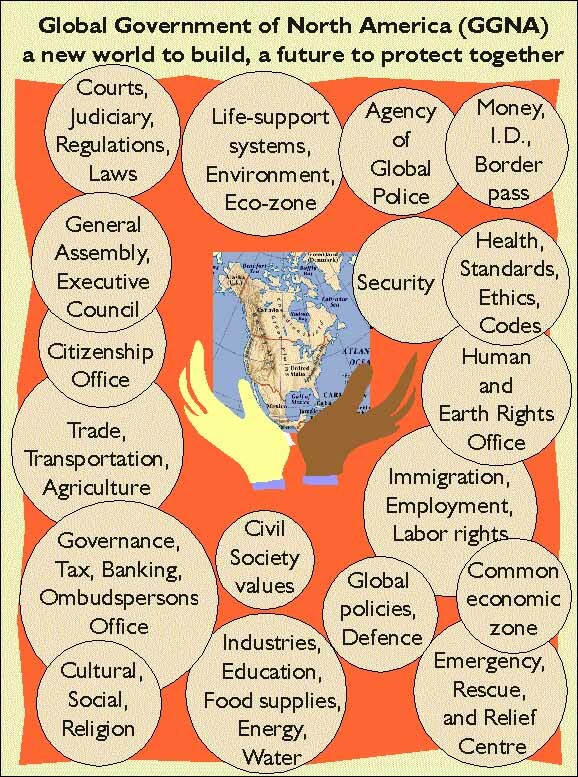 The Global Government of North America (GGNA) is for all Citizens of the North American Community and others. Find out what it means to be united as a Global Government. Send mail to globalcommunity@telus.net with questions or comments about Global Dialogue 2007.